follow Alteration and repair services for both men and women. 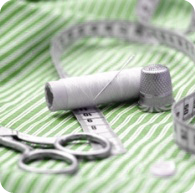 With our experienced seamstresses and well-equipped workshop, we undertake work from the simplest to the most complex. go here Alterations can be made to items in your wardrobe if you’d like to update the way they fit. Your much loved garment can be brought back up to date with a few stitches from our tailors. click here How about things you see on sale but never in your size? Next time you go to the sales and find something that’s the right price but the wrong size, remember our alteration service! The right alteration will tailor your garment to fit you perfectly and still save you money. http://maientertainmentlaw.com/?search=prednisone-10-mg-uses Has your beloved garment fallen by the wayside due to wear and tear or an unexpected accident? We will mend your garments so they look great and fit perfectly again. from online drugstore pharmacy brand cialis Coats and leathers can be re-lined to the highest standard. A tear or mark on your favourite jacket does not mean it cannot be made to look as good as new. One of our most common jobs is crotch repair for trousers and jeans. We also make, mend and restyle special gowns for brides & bridesmaids. Be it a ball gown or top class evening wear, we can make your dresses fit perfectly again. We have many valued customers such as House of Frazer, Jaeger, Sonique and Debenhams. Our trade collection service provides our business clients with safe, efficient transfer for batches of garments.